Dodge deadly pancreatic cancer with a simple mineral? If you’re an average American you’re not getting enough magnesium. In fact, a staggering 80 percent of us aren’t. You may already know how important this mineral is for your heart. But that’s far from magnesium’s only job. The mineral also plays an important role in bone health, and it can help relieve muscle pain. But it turns out magnesium may have been playing a starring role in a story that we didn’t even know it had been cast in. It turns out magnesium may be a pancreatic-cancer-fighting hero, according to research published in the British Journal of Cancer. Pancreatic cancer is a true villain. This sneaky form of cancer often goes undetected until it’s too late, making it a leading cause of cancer-related death. 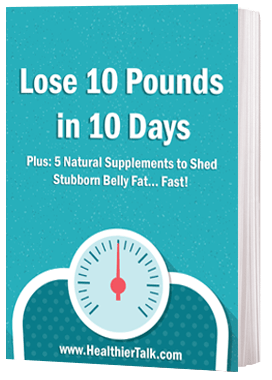 But according to researchers for less than 8 bucks—the cost for a two month supply of magnesium supplements—you could significantly reduce your risk of ever being diagnosed with this deadly disease. We already knew there was a connection between diabetes and the mineral. Diabetics are often low in magnesium. And since diabetes is associated with pancreatic cancer a group of researchers began to wonder if there might also be a link between the mineral and the cancer too. So they set out to find out. Their risk for pancreatic cancer jumped 24%! They dug into a pile of data on over 65,000 people looking for any connections, and boy did they ever find one. Not getting enough of this critical mineral (you know, like 80 percent of us aren’t!) sent people’s pancreatic cancer risk climbing. And we’re not talking about a small jump either. For every 100 mg decrease in magnesium, pancreatic cancer risk skyrocketed 24 percent. Listen, few of us think much about our magnesium levels… doctors included. But now that we know what an important role it plays in keeping pancreatic cancer a bay it’s time to change that. On your next doctor’s visit why not check with your doc about getting your own magnesium levels measured. If you find out your levels are low… and chances are you will… you might want to top them off with a supplement. I typically recommend 200 to 600 mg a day. Check with your doc about what’s right for you. 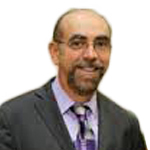 Dr. Rothfeld has practiced integrative medicine for almost 35 years. An author and lecturer, he developed one of the nation’s first college courses on Alternative Medicine for Tufts University. His best-selling book Thyroid Balance has brought people from all over the world to his practice. Dr. Rothfeld’s specialties include the diagnosis and treatment of thyroid disorders and chronic illnesses including autoimmune disorders, adrenal fatigue, heavy metal toxicity, oncology, and chronic fatigue syndrome. 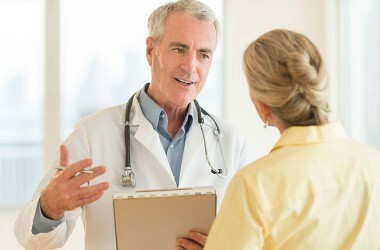 He also treats people who have been previously misdiagnosed including some of the most intricate cases. Dr. Rothfeld’s treatments include acupuncture, nutrient infusion, chelation, and the prescription of herbal supplements.